Because I am so rock and roll, I asked Colin for new storage for my birthday last week. I knew exactly what I wanted – two of the large 9 drawer IKEA Alex units. My wifey Sheenie and I drove up to Lakeside on my birthday (see, rock and roll) and bloody hell, I wasn’t prepared for how heavy they are. I wasn’t counting on the lift in my building being broken when we got back either – I live on the top floor! – but with some help from The Incredible Hulk that is Colin we managed to get them upstairs eventually. Despite being ridiculously heavy, they were extremely easy to build and I even did the second one all my own. So whilst getting them was an utter pain, I am very happy with them! Now before I show you the contents, let’s take a little trip down memory lane. This post was from when I got my first IKEA Helmer, in September 2011. 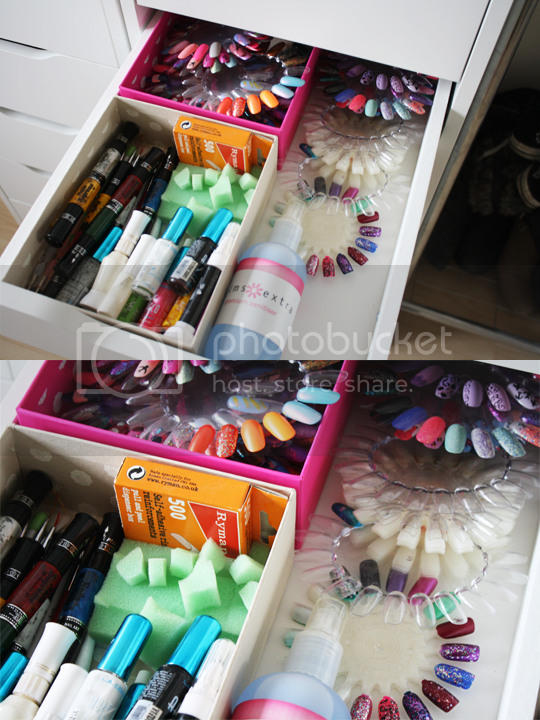 I got my second one part-way through 2012, and now I have the Alex drawers I cannot for the life of me figure out how I managed to squeeze everything into the Helmers… Anyway, This one was my modest nail polish collection in March 2011, B.H. (before Helmer). If you really want a laugh, here’s a snippet of how much polish I owned in January 2010. Look at what blogging has done to me now, it’s well and truly created a monster! 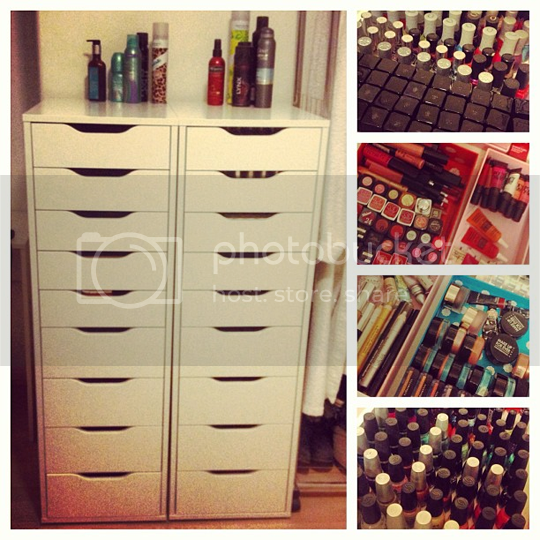 So, there are a couple of empty drawers at the moment (just you wait…) but here’s what’s in there so far. 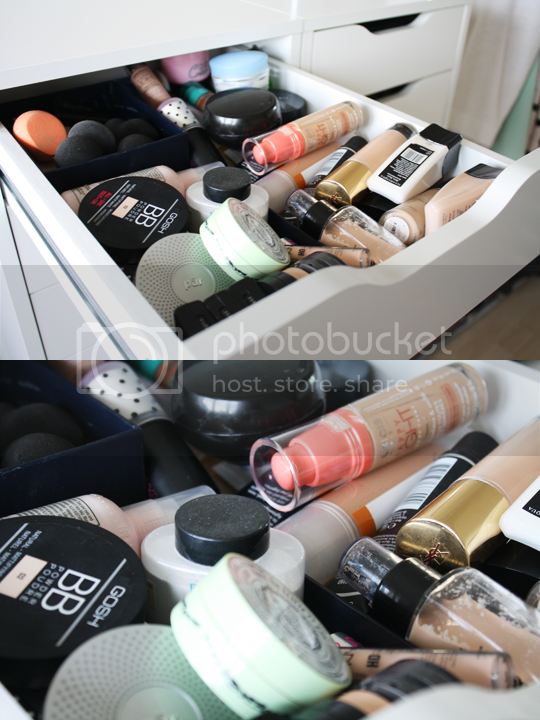 Starting with the top drawer on the left hand side, here are foundations, primers, concealers and powders. 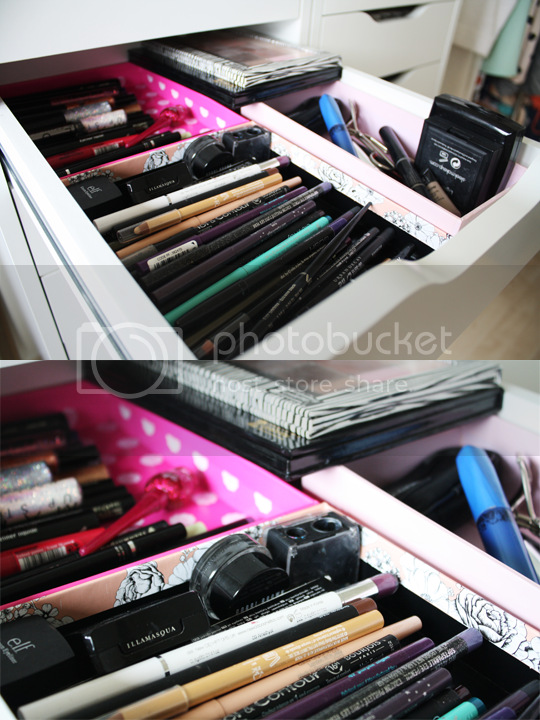 The next drawer down is for eyeshadow primers and coloured bases, cream eyeshadows, eyeshadow pencils, and eyeshadow palettes that I use frequently. This one is eyeliners – pencil, liquid, gel, cake, glitter, you name it. Oh, and brow products, lash curlers and the only mascara I ever frigging use (CoverGirl 3-in-1 Waterproof). My Z Palettes full of Inglot are also in here, just because that’s where they fit best! Then there’s an empty drawer. In the next one down is my skincare products. 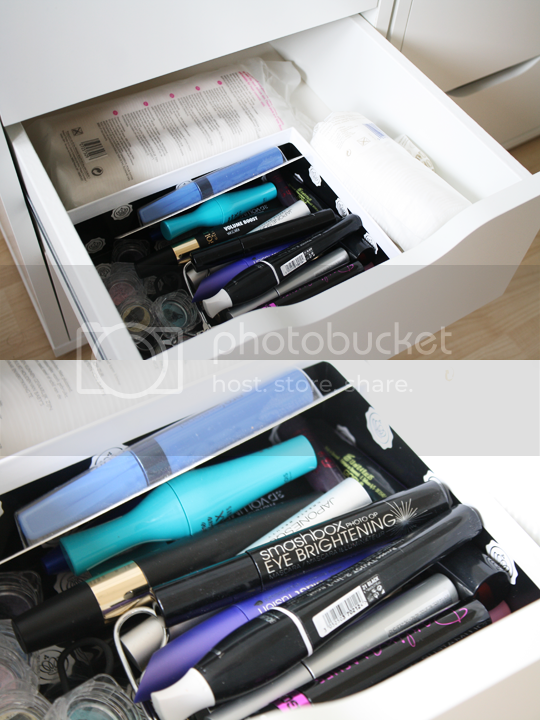 After that, a half-empty drawer of all the other dozens of mascaras I never touch – I swear that CoverGirl one is the only one that holds even the slightest curl in my lashes – and back-up cotton pads (the rest are in a kilner jar on my desk). 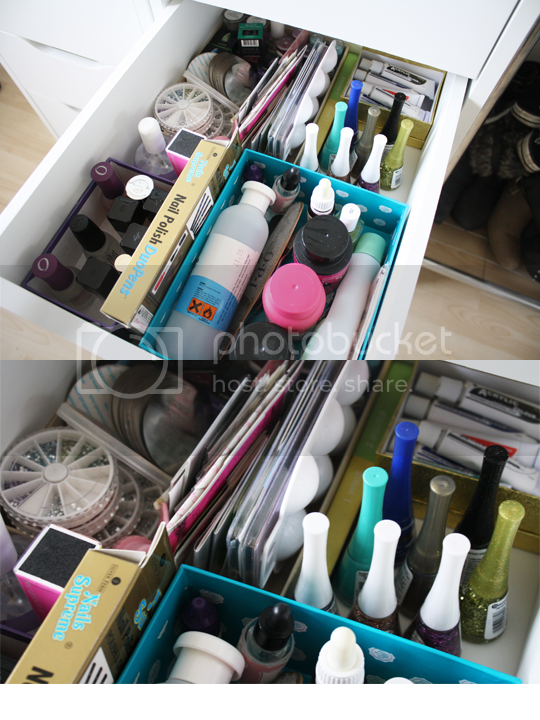 In the last drawer on the left you’ll find single eyeshadows and pigments, false eyelashes and palettes which I don’t use very often. And now onto the right hand side! Nail polish part one – Illamasqua (I have 44 of these now *fist pump*), Color Club, Orly, A-England, Nubar, Zoya and some miscellaneous at the back. Nail polish part deux – mostly China Glaze (42! My previously largest collection has officially been overtaken by Illamasqua). Nail polish part three – Models Own, Nails Inc, GOSH and a whole bunch of others that I don’t have a large collection of. 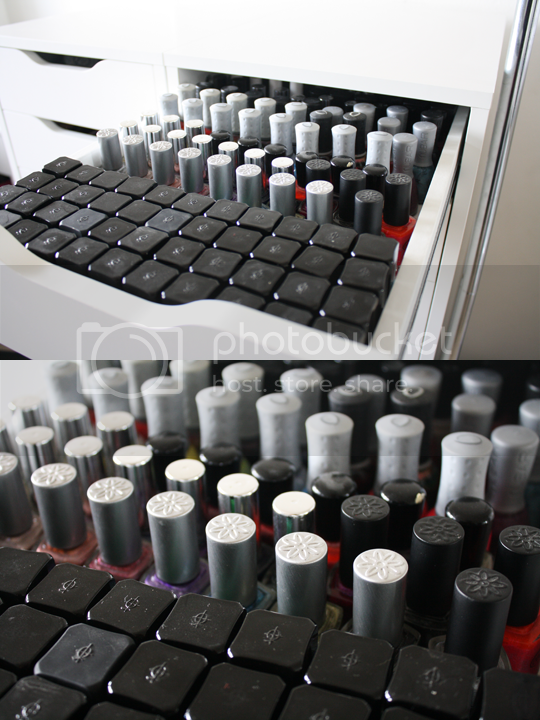 Nail art part one – nail wheels, nail art brushes and pens, dotting tools etc. Nail art part two – everything else! 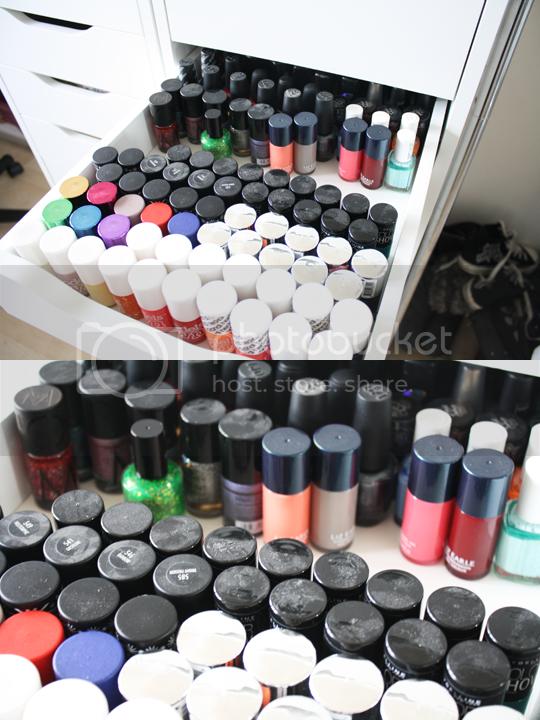 Acetone and nail care stuff, top/base coats, rhinestones, Konad plates, stickers, water decals, loose glitters, acrylic paints, blah blah blah – oh, and my Bourjois 1 Seconde polishes because they’re too bloody tall for the shallower drawers up top. Then we’ve got a couple of empty drawers. Hair stuff is in the penultimate one. 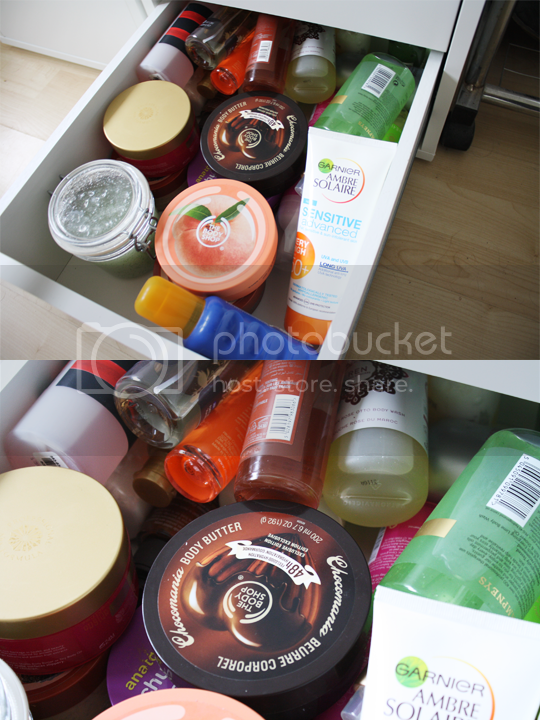 Aaand lastly, body care products. Looking at these pictures I am actually slightly shocked and appalled by the sheer amount of stuff I have amassed. I only have one face and 10 fingers, damn it! Mind you, I have given away a LOT of stuff this year so it could be a damn sight worse. 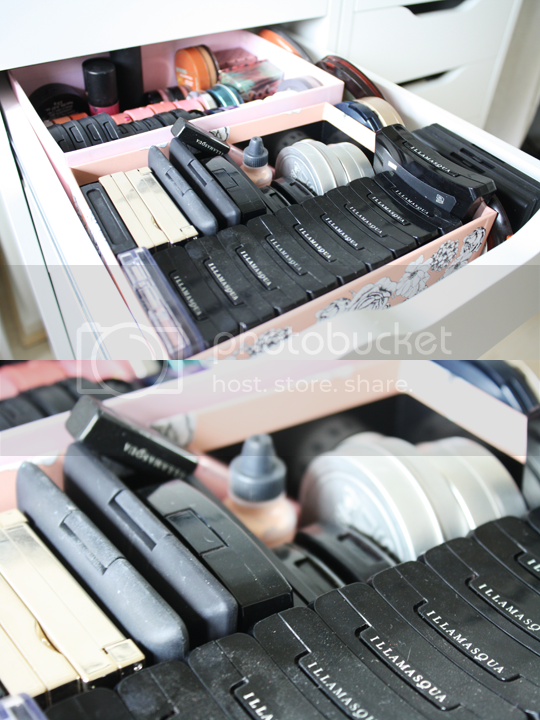 Since I didn’t take pictures but we’re on the subject of storage, I keep all my fragrances on a shelf on my open wardrobe, and my makeup brushes are in various pots and holders on my desk. And I think that’s about it… What about you? What are your storage solutions? 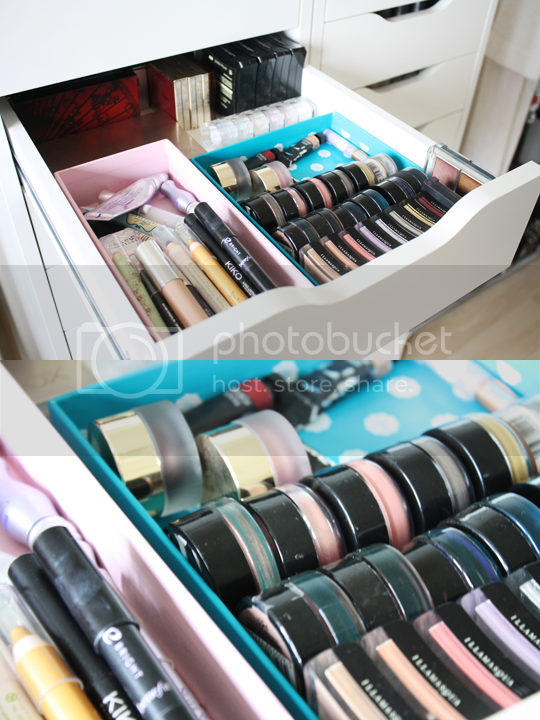 I’ve found my stash of old empty Glossyboxes to be an absolute godsend when it comes to organising things within drawers. Any top storage tips to share with me? 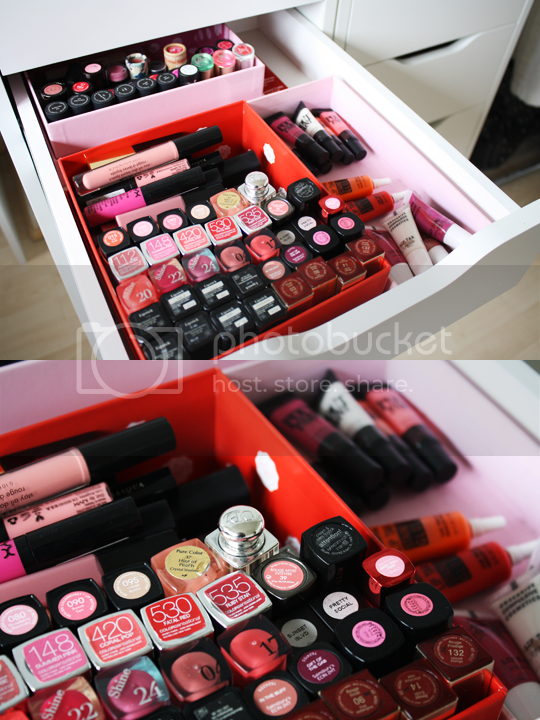 What a perfect set of drawers for makeup! 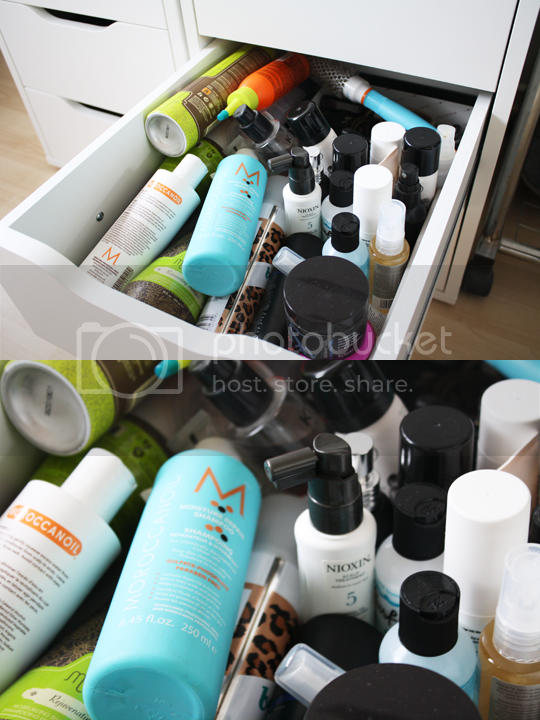 I’d love to look into something similar when I move & won’t be able to have my makeup strewn all over the place anymore! Oh, I really want these drawers but I’m afraid they won’t fit in my bathroom. I’m so glad you’ve said they were easy to assemble, because that’s also been one of the main reasons I’ve been reluctant to buy them. I really like how you’ve organised your collection. These photos have made me want to go out and buy, and buy so many things now. 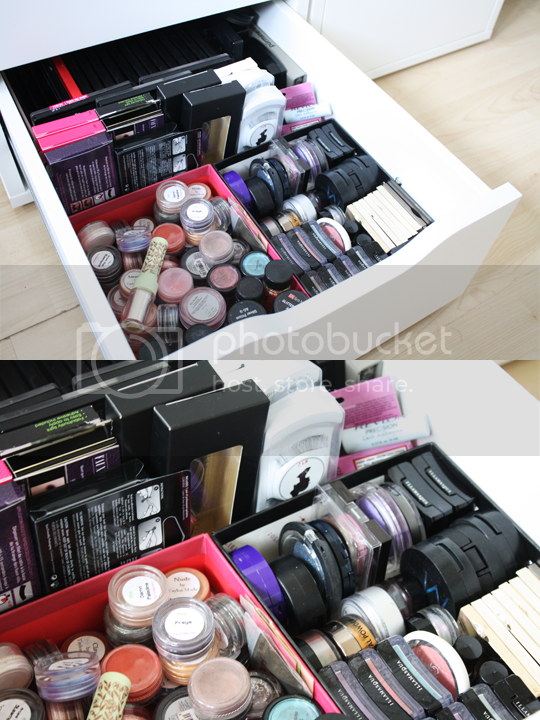 Empty beauty boxes are the best way to organise things, I’d say, and rather than using bulky and expensive acrylic boxes. I love it, it looks so nice!! I wish I could have my collection like that. I need to get me some Alex drawers! Amazing! LOL I love it!